Last edited by digitalangel; 06-05-2015 at 02:00 PM. I got her converted to PL 6 and 3E, and tweaked the background for another game, but that one failed to launch as well. 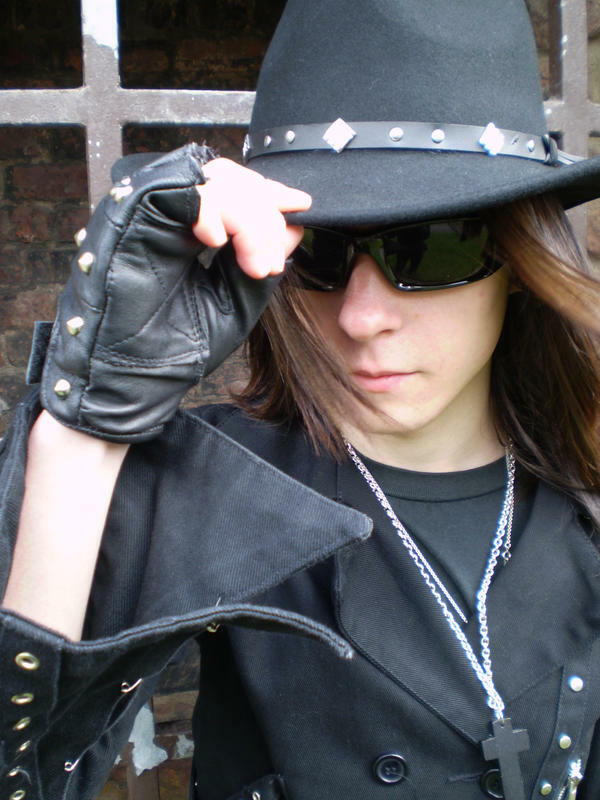 Occupation: up until joining Gate Keepers (start of game IC): Bounty Hunter/Supernatural exterminator. Former Cop: Christina still does what does does to try to protect people. Because of this, and all the training shoved in her head as a police officer, she will try to avoid lethal force unless it she has no other options or unless she is 100% certain that a target is a monster. Trying to avoid excessive force applies to when she goes after human bounties as well. Prejudice: Monsters and all associated with them are evil. Hatred: Monsters, she's seen their evil up close, and never even heard of a good one. Obsession: Hunting down the inhuman and eliminating them. She sometimes takes on jobs too big for her to take without calling in favors, and frequently under negotiates bounties on cases she believes might be inhuman out of her desire to hunt them down. Reputation: She is believed to be a crackpot by many who find out about her history unless they are others who know what is really out there (which sometimes means local law enforcement isn't cooperative if they know who she is). She does have a reputation as a bounty hunter to be reckoned with though (sometimes making her a target by criminals in an area afraid her bounty is on their heads). Addiction: Nightmares still haunt her, and many nights she only gets to sleep with the help of alcohol. Great for all night stakeouts when she can't afford to sleep anyway, not so great for being at the top of her game other times when she has had too much or is sleep deprived. Grudge match: Christina wants to kill the monster that took her partner's life and in her eyes ruined the life she used to have. She's heard of and seen fae, werewolves, vampires, demon possession, and ghosts, but she still has no clue what that thing was. Distance: Christina is used to people thinking she is nuts, and has suffered the (in her eyes) rejection of her family and the loss of a partner. Part of her desperately wants someone she can trust of watch her back in this path she has followed, but another part is very afraid to let people in after previous losses. Christina used to be a police officer. She came from a blue collar family that couldn't really afford to send her to college, but she wanted more than her folks had (a roofer and a diner waitress). With the help of her cousin who was a sheriff's deputy the next town over, she made it into the <insert appropriate large town/small city> police academy and did reasonably well. After a couple years she managed to get her detective's badge and, fortunately, was paired with a good partner who's experience she could learn from. Her first murder case ended up pointing to a guy from Boston, who apparently had a history of being a primary suspect for similar murders in different areas of the country, but who had a good enough lawyer to keep getting out of the charges. When more bodies started appearing with the same MO it looked like they might have a serial killer on their hands. Christina was excited and terrified at the same time. She hadn't been a detective for long and this was turning into a much larger case than she originally thought. At least she had the experience of her partner to draw on in trying to figure it out. Eventually catching up to the killer, what they saw...she wasn't sure what it was but it wasn't human. She froze; it was some sort of monster, not a guy in a suit like a cheap mystery movie but a real monster. Her partner shoved her out of the way when it lunged at her, but she was still locked up in fright. For his good deed, the thing gutted him like a fish, then turned to her still cowering on the floor and just laughed. The thing just shrugged it off when she put 3 rounds from her service pistol into it, and laughed telling her she was no threat and too afraid to be any fun killing. Then it turned into a man, the same man they had suspected of the murders and strolled off. She was eventually cleared to return to duty after a lot of time with the department shrink, but nobody wanted her as their partner. Some even went so far as to nickname her "Scully" from X-Files. She worked a few cases, but couldn't get that thing out of her head, or the death of her partner. She started suspecting all kinds of suspects of being inhuman monsters, especially the more she read up on myth and lore and some theories that those creatures were real and hiding among humanity. She was eventually released from duty when the captain couldn't tolerate her growing eccentricities anymore. Her own family kept pushing her for more therapy and even suggested she might need to be committed at one point. She and her family don't speak much anymore, but both sides still care. They honestly believe she needs mental help and won't let the subject die on the rare times they talk. She knows what she has seen is real, but can't really blame most people for not believing. She occasionally checks up on them, but doesn't need the stress of how they treat her anytime she comes through town. Her drinking doesn't help with the people that used to know her thinking she is any closer to mentally stable. With a ruined career and a guilty streak over what happened, she used her skills and turned to bounty hunting, or skip trace as some called it now. After a while she fould a few brokers, whom most wrote off as crazy, that sometimes had contracts to track down "monsters". She had seen enough to listen, and had spent a lot of time researching what was really out there to have an idea of how to start hunting the monsters instead of letting them prey on people. Her last case wound up wither working with a pair of feds going after the same mark. She didn't want to share the bounty with them, because she needed the pay day. By the time that job was said and done, there had been little choice but to share the case and lose the bounty if she wanted to come out in one piece. Christina got something in return from that case; it just wasn't a bounty. It turns out that the government is aware of things that go bump in the night, and that there was a special department within the some federal law enforcement agencies that handles such cases. It also turns out that they made her a job offer; a chance to back to full time law enforcement in a department that not only didn't think she was crazy for hunting monsters, but wanted her for exactly that skill set. So here she ends up pulling up near an address she was given by the agent that survived that case. It didn't look like your typical federal building, more run down and nondescript. It almost looked like it was abandoned except for the guard town posted at the entrance to the parking lot. She wasn't the most comfortable pulling up to a government building with a truck for of weapons, a clear violation of more laws than she wanted to think about. Most of her supplies either in their holsters/sheaths or in one of the multitude of pockets in the lining of her heavy (heavier than most realized with the Kevlar and chain mail sewn into it) duster. In the rear floor board of her old Bronco where they were mostly out of sight, but she could reach back and grab them if needed, lay her crossbow, ammo boxes of bullets and crossbow bolts in various assortments and a case of various types of grenades with an old army blanket pulled over it in case someone got nosy. The old truck was beat up over the years and could use some work, but you had to love the old machines from before things went electronic. She could keep it on the road and getting her form job to job with the various tools and supplies in the toolbox in back. The shape of the body panels (faded paint, some rust spots, crooked bumper, ...) would make most people think it was a pile of junk not worth stealing at first glance, but it drove good and the motor still ran strong. Still with the arsenal hidden under the army blanket in the back, she decided to park a block or two away and walk. She didn't like going into an unknown situation unarmed, but it beat getting thrown directly into federal prison on terrorism charges. If things went south, she could always tell them to pound sand and go back to hunting on her own. If everything worked out perhaps that is exactly what this was a chance to make a few small repairs in her life and come home. Come home to a life she had all but left behind, back to a regular job, back to the badge, back to being respected as a cop instead of written off as a loony, and she sure as hell was coming back with a vengeance. For +1 point per rank you also have the power to enliven dead wood, causing it to rapidly put forth new roots, branches, leaves, and even flowers, seeds, or fruit. The newly restored plant only live for as long as conditions allow. This should cover what the feature did earlier as well. Protector of the wilds: She takes offense at people killing trees and wilderness lands. Past: Dryad vaguely remembers being an old woman living in the woods for all her life at peace with the land, but how can that be? She's an ageless nature spirit. Cycle of life: She has a very different view on killing or theft if it is for a creatures survival than the legal system, but murder for pleasure (including hunting for sport) enrages her. Learning the Language: Dryad sprouted from an area (Montana wilderness) where English is spoken primarily and has mostly picked up the language, but is not always good at putting her thoughts to words when dealing with people. She communicates her messages as much with gestures, looks, and body language. Understanding a recorded or written message is much harder for her without that context (unless of course she can pull what she needs from the memories of the plants in the area). Nonhuman: She is not familiar with many human customs/traditions/laws. Dryad remembers an old woman who lived in a small cabin in the woods with a garden and orchards. She remembers the woman lovingly tending to the plants in that garden until her body gave way to the cycle of nature one day. Dryad remembers sprouting from a seed the old woman planted just before she passed away. 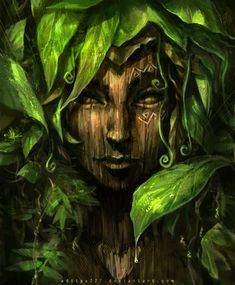 She is not entirely sure if she has the spirit of the woman reborn through her plants, or if the woman's nurturing spirit helped bring her forth from an ancient slumber in the wood from the land itself. Her first clear memories in her current form are as a small sapling sprouting on the day of the spring equinox. Before that she knows of the woods and the woman's life there as well as that of many of the plants and creatures, but it is hazy as if from a dream. The first human she met after uprooting herself from the soil, called her a dryad, so that has become her name as she has no other in the human tongues. Family Status: Single (dating on and off), no children. Parents live in the next town over and extended family scattered around the country. Add gloves and replace the torn up jeans with proper riding leathers or at least jeans not torn to shreds. Jacket probably Alpinestars Bionic for staying with one with hard pads (add hard plate on either side of chest and across back and replace the fox logos with a white star outline on the left chest plate for company logo). Faceplate would also be mirrored instead of clear. Alexis was always the nerdy girl in school. She went to college on a combination of academic scholarships and student loans. After finishing college, she signed up with one of the debt forgiveness programs for student loans; if she spends 4 years teaching in public schools, her student loans would be forgiven. She is now been a teacher at Stonebrook High for 2 years teaching physics, chemistry, and computer classes. In a larger town, these subjects would have separate teachers, but Stonebrook is just a small mountain town. Alexis has not even had much luck getting AP classes going for the students so far. She is free of her commitment to the debt program in 2 more years, but she has found that she truly enjoys working with the students, even if the private sector pays much better. Alexis took a couple self defense classes in the past, and continues as a hobby and a way to stay in shape. Ammo: All of her ranged attacks require some form of object to use as ammo to fling with her TK. She usually carries a bag of marbles with her for this, but if she is caught with nothing to use as ammo she is limited to close combat or fleeing. Teacher: Alexis is a teacher at Stonebrook High. This means that, especially around students, she must maintain a certain decorum. Rivalry: The Stonebrook High principal is not overly fond of Alexis. He knows that she only started teaching here because it was the school she was assigned to as part of the loan forgiveness program. Alexis finds it ironic that at a high school and AP level the principal thinks that an applied science degree with a minor in computer science is less qualified to teach science and computers than if she had an education degree. The principal has also been more concerned with school grounds and the athletic teams when making budget decisions than in letting her upgrade the computer lab or expand the AP programs at the school. Conflicting Interests: Alexis knew when she signed up to teach for the forgiveness of her student loans that she could make much better money in industry. She has found that she really loves teaching the kids, she just hates the politics of public schools and the adults involved. Even with losing the forgiveness of her loans, there are days that leaving teaching behind for a much better paying career in industry is VERY tempting. If she didn't honestly care about the kids, she would probably not have stayed very long. Some days she just reminds herself that she is over half way through her commitment, and that she is in the home stretch. 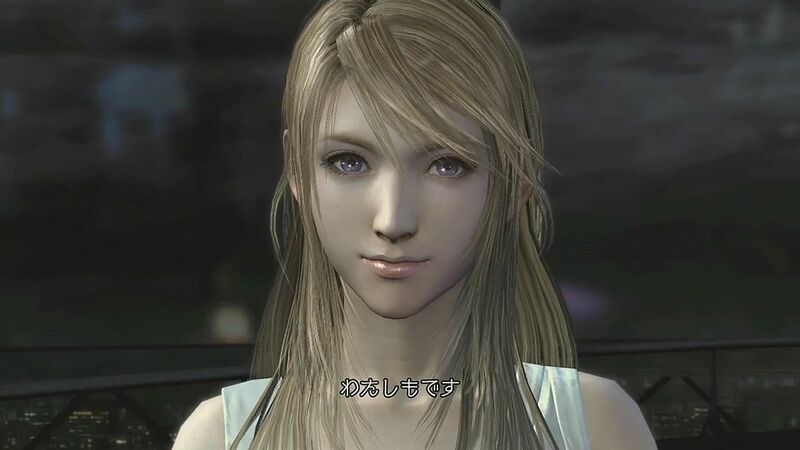 Age: about 1-2 years since reaching teh level of growth with full intelligence, sentience and magical abilities. Height: almost 2 ft long (over 3 ft with tail), about the size and weight of an iguana or small cat. Respect: He is a baby dragon (very proud creatures), and does not take it well when people see him as just a lizard (talking or not). He may roast someone who repeatedly disrespects him just to prove his point. Bigger than my body: He may only be about 2 feet long, but he doesn't see himself that way. He tries to deal with other races on an equal level (especially academics or mages), but it is just so hard for anyone to take a 2 ft lizard seriously as anything other than a pet (reflected through low PRE and penalties from shrinking). He is not able to understand this and keeps trying to deal with people like he was one of them. Fortunately he does not require much in the way or clothing or gear, as it would be very hard to find sized for him. Runs on all 4s: If trying to carry or drag anything other than in his mouth or with his tail, he is denied almost all of his running speed and swimming ability. Curiosity: A dragon's natural instincts give them a great understanding of magic (and survival), as reflected in expertise skills and advantages. They also have a great drive for knowledge and are extremely curious (especially about magic); this may drive him to ignore good judgement for an opportunity to examine some new artifact, magic circle, runes, or even technological devices. Shiny: While much less in younger dragons than adults, dragons have a natural instinct to acquire territory (and defend it fiercely) and a horde of their own. He is extremely tempted by gold, jewels, and magical objects. Even if he is just a hatchling starting to explore the world, he may be in real danger crossing into the territory of any older dragons as these instincts get stronger with age. Fear/Ignorance: Many people (even scholars) know very few facts for certain about dragons other than that they exist and that they are a force to be reckoned with. An angry adult dragon can literally move mountains if they want something badly enough, not counting that they have a natural talent for magic. Most people do not even realize that dragons hatch as large lizards (around 6 inches to 1ft. depending on type of dragon) and grow from there. What most people think of as a hatchling (roughly the size of a large dog/small pony) are actually 3-4 years old, and that the standard adult dragon that comes to mind when someone talks about dragons could be several hundred years old. 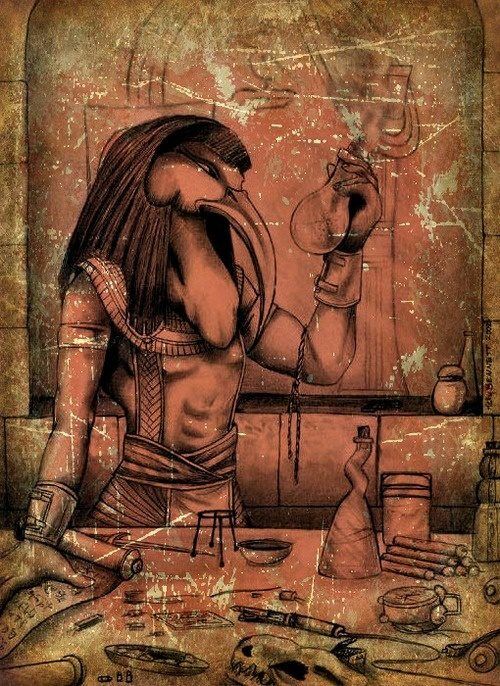 This ignorance has spawned many rumors and myths over the ages, only some of them even remotely true. Some people may decide that small hatchlings should be exterminated before they grow to become a real threat, if they even realize that it is more than just a lizard or a wizard's familiar. Hunted: Many unscrupulous mages and alchemists would love to get their hands on dragon scales/blood/bone/etc. for potions or as part of a ritual because of the power that they are rumored to have (partially true). Fortunately very few of these are a threat for a dragon once it is more than a handful of years old. Zyaitin, however, is still just a hatchling and much less of a threat. Fortunately, Zyaitin is to small to be hunted for scales or teeth, which can be made into excellent weapons and armor (as well as a great symbol of power with as hard to kill as dragons old enough to hunt for such items are). This would not stop a sorcerer from wanting to drain his blood or grind his bones into powder for a potion however. Long Life (more for adult dragons): This may not seem like a complication, but to a creature that can easily live to be thousands of years old once it grows powerful enough to properly defend itself, time does not have the same urgency as with shorter lived races such as humans. Dragons share this in common with elves, some giants, and other long lived races. They can be extremely patient (a good thing), but are rarely quick to action even when needed. Many adults have seen empires come and go in their time, and see things in a much different scale than mortal races, or hatchings who have not lived as many years. This can make older dragons much harder to deal with. With time in such a perspective they also tend to hold grudges, while a member of a mortal race might say that a feud going back 50-100 years is ancient history and be ready to move past it, a dragon with a grudge may take it out on the bloodline of someone that wronged them for generations (a terrifying thought if your ancestors ever wronged a dragon). They may also protect the decedents for generations after a dragon's dear friend or companion has passed on. Patience: Unlike an adult dragon that has lived for a century or more, Zyaitin is still incredibly young. With this his view on time, patience, or waiting for things is much more in line with mortal races. With his incredibly young age, he resembles a human child or teenager more than anything else in this regard at times. While he can see the value in long term plans and investments, he will often focus on short term rewards. Eats Like A Horse: Zyaitin eats as much as most creatures several times his size; after all, his body needs fuel both for it's fairly rapid growth and to produce his fiery breath. The tiny dragon is a good hunter for his own food when in forests or jungles, eating plant matter, grains, insects, and even small rodents, snakes, or birds as he has gotten larger. His natural resistance to poison and disease, means he can eat most anything small enough for him to swallow, including things that would make others ill. When in cities where he cannot hunt for prey, supporting his diet is more difficult (and expensive) than most would assume as he eats as much as a human teenager/adult. He could have just as likely been looking for a snack when Elijah first found him in the wagon as being curious about something shiny in it's contents. While country folk are probably used to seeing animals eat their prey, his eating habits might make some in cities (especially the better off) to be taken aback. True Name: Dragons instinctive knowledge of magic tells them how powerful true names can be. Zyaitin has never told his true name to anyone, even Elijah. Only his parents and any surviving members of his clutch know his true name. Some (those not versed in magic) may think him dishonest for not sharing such a thing. The knowledge of his name by his relatives could be an issue if they ever opposed each other. Not that any of his clutch would have a chance against their parents (or any adult dragon), name or no. I basically crossed my previous awakened lizard build with one of Thorp's hatching dragon builds. Assuming that a dragon's natural language and elvish are basically the same as in some settings (though possibly different dialects of the language). In his build I am grabbing bits and pieces of how dragons work in multiple settings (classic myth, D&D, Palladium, and various pieces of fiction I've read before), so let me know if something clashes with how you want to run them in your world. Taking more of the approach that they hatch in large broods of fairly small hatchlings and only a portion survive long enough to become what people think of when you say dragon, than the typical RPG approach of them being hatched much larger on this build. I handled his size with a Feature and permanent Enhanced/Decreased stats, as Shrinking is a horrible points sink. I have him as hatching about the size of most medium lizards are growing fairly fast; he is up to a little over 2 feet in the build (assuming he is roughly a year old. I figure his size will change roughly equivalent to 1 rank of shrinking being removed every month or so of game time.). The only reason I really bothered with the small size at all is that the previous build this is partially built on was a lot of fun to play off the fire breathing talking lizard that everyone wrote off because of his size; it has so many good RP possibilities especially combined with the respect and bigger than his body complications. Background: Dragons, a great and powerful race that most know little about outside of legends and myth. Everyone knows that dragons are real and that they have good reason to fear an angry dragon, but most else is left to the realm of myth. Many merchants and people of forest/jungle tribes might have even seen baby dragons and thought nothing of it; most that is, except in Zyaitin's case a merchant that found a strange lizard scurrying around in one of his wagons full of goods. Elijah picked up the strange looking lizard by its tail and examined it, having never seen a lizard with such odd colorings on its scales. That was when the lizard had enough of being prodded and stared at and told the enormous merchant to let him go, or else there would be consequences to pay. The merchant laughed at the strange little lizard, thinking he must be someone's familiar or perhaps that he had too much to drink that evening at the tavern. The laughter stopped when the lizard lived up to its word and spewed a gout of flame at the giant. While such a burst would have scalded most, the giant's skin was like armor and suffered no more than a few minor burns. That was the fateful day that Zyaitin met Elijah, the half giant merchant and (now) his best friend. The lizard's ruffled (figuratively and literally) scales were smoothed over with an apology and a meal shared. Stories were told, tales swapped, drink and food shared, and both decided that the tiny creature would accompany the giant for a time. The merchant's goods would surely not get stolen with such a guard riding in the wagon. Some tried at times to steal from the wagon, thinking so little of the tiny lizard until it was too late. The tiny dragon, in return, got a chance to see the world and sate his curiosity. Elijah has been teaching him the languages and ways of being a trader. Elijah gave the lizard a name, Zyaitin (giant speak for "dark lizard"); it was rather fitting. Zyaitin has found he rather enjoys the habit of riding along inside of Elijah's pack (or sometimes perched on his shoulder) going through towns; he gets a better vantage point to see new things at every trade city and doesn't have people carelessly trampling him in crowds. He often sneaks off to get a closer look at something in a merchants stall or shop that catches his eye though, some things are just too tempting to not investigate closer. The giant was a little taken aback at first by how much such a tiny creature could eat. Of course, Zyaitin has almost tripled in size already in less than a year of traveling together, up to about 2 feet long (and sprouting small wings) compared to the tiny lizard Elijah found in his wagon that first day. Especially with his wings folded against his body, most would still write Zyaitin off as a curious looking lizard that the giant must have picked up as a pet in some strange town. Elijah had seen the tiny creature grow rapidly, and if the depictions of dragons that Elijah had seen before were to be believed, the little dragon might one day be able to carry the giant instead of the other way around. Humans, Ores, Dwarves and even Elves tell many contradicting tales about dragons, because very little is actually known about these magical creatures of legend. Mages and scholars have tried to research dragons, and while from hatchlings have been caught for study, even they can prove hard enough to handle to prevent all but the most crazed from meddling with older specimens. The occasional knight or dragon hunter may have discovered some secrets of dragons in the past, but their boasts and stories are known to often be exaggerated, so are not the most reliable source of information. They are beings of great intellect, curiosity, and a strange blend of human emotions and the instincts of a wild animal. They are beings that seem destined to explore many realms. Perhaps because they themselves don't truly belong to any one world. Some would call them gods, and some have taken that mantle at times. There are legends of the island kingdom of Dragonwright far in the Western oceans where a group of dragons are worshiped as god kings. If so, it would be highly unusual for dragons to share power and territory in such a way. Dragons have no apparent society or feeling of kinship even among the same species, at least not by human standards. They act with complete autonomy from one another, with no laws, ethics, or codes of conduct shared by any. Each does as he pleases independent of the other. There is seldom any camaraderie or even pleasantries exchanged between most dragons, at most, what can only be described as polite aloofness and suspicion by human standards. Except for mated pairs, dragons tend to shun the company of fellow dragons, although they enjoy associating with other beings. After having mastered various magics, they often spend periods of their lives disguised among the societies of other races (often either as scholars or manipulating politics from behind the scenes). Even their own offspring are left to fend for themselves. Only a small fraction of hatchlings survive long enough to ever reach adulthood. Unlike the powerful adult and ancient specimens, young dragons are fairly weak in comparison. The first few years of their lives often spent hunting, growing in strength, and gaining knowledge. It is not even uncommon for freshly hatched young to hunt each other at times. Dragons grow in size and power for almost for as long as they live, fortunately for everyone else only a few of them survive their youth. There are many reasons for this antisocial behavior toward one another. Except for fellow dragons and the most powerful of supernatural beings, adult dragons have no natural enemies. Their longevity makes them incredibly knowledgeable and increasingly powerful as they learn to use their natural strengths and abilities, as well as magical knowledge. Their territorial nature also means that most dragons instinctively dislike one another, making dragon societies almost unheard of. Dragon bones and teeth of adult dragons are instilled with great magic and as such, are coveted components in the creation of the most powerful wards, circles, and magic. This is one of the reasons that many dragons do not survive to adulthood. Their pride and brashness is another, as is their greed. Greedy by nature, even the nicest dragons tend to be greedy and have a penchant for hoarding artifacts, valuables and magic. This is where the legends of great dragon treasures arise. A dragon will not forgive the theft of a treasured artifact from its lair, and only the truly foolish would attempt such a thing. Adult dragons are sometimes accused of laziness and sloth. Neither is usually true. Laziness results in that by adulthood, dragons have mastered the art of intimidation and have learned that a subtle threat, sometimes as little as a grunt or groan, will send people scampering to do as they have been told. Most adult dragons usually have a vastly different view regarding the passage of time. These are creatures that live for thousands of years, they, better than most, recognize that opportunities will come around many times, that haste can lead to folly, that what goes around does come around, and that patience is truly a virtue. Those that are overly eager to act, especially when egged by pride or arrogance also rarely make it to adulthood, thus exaggerating the effect. Most adult dragon's will have one or more lairs, possibly in completely different areas depending on how far they have roamed. They will typically claim an area of 50-60 miles around their lair as their territory and defend it from other dragons fiercely. A dragon's natural ability to sense magic around them extends to the detection of other dragons as they grow older and their powers grow stronger. While they might overlook an adventurous hatchling in their domain as long as it does not stay too long, they are not so forgiving of other adult dragons that should know better than to invade the territory of another. The exception to this is if the dragon's territory includes a city of decent size. A dragon visiting such a city, especially if they have disguised themselves as a mortal, will generally not be considered trespassing as long as they stay within the city or nearby guild halls. A more malevolent dragon may not extend this courtesy, even if they are content to leave the city to itself otherwise. a) Tries to avoid it, not a huge concern however. b) Tries to avoid it, will go out of his way to avoid breaking his word. c) Absolutely not, will not even consider it outside of truly extraordinary circumstances. a) Usually not maliciously, but has no issues bending the truth. b) Will bend the truth, but rarely blatantly lie. c) Not without really good reason other than little white lies. Kill, yes but will usually not chase a fleeing foe to finish them of unless them escaping is a threat as well (they would return with reinforcements for example). Injure, yes, just be glad you didn't become lunch, but will rarely start the fight. Harm, usually not and not seriously. Kill, no. Not for pleasure. For important information (especially if needed to help those he calls friend), YES. For revenge, would consider it but probably not act on it. For pleasure, no. Not above eating sentient lifeforms as a last resort though. a,b) If not too inconvenient or for a good cause. c) Yes, extremely loyal to friends, especially Elijah. Human laws do not bind dragons, however he recognizes the consequences of breaking the law. His own morals would keep him from breaking most just laws anyway. a) Maybe, but not if he had given his word otherwise. b) Probably not, not if he had given his word otherwise. a) If it profits him in some way. Authority, eh sometimes. Self discipline and honor, lots of respect. a, b) How much do I need it? How much does he respect the person he would be stealing from? Gems, gold, MAGIC: SHINY, WANT!! This does NOT mean that he doesn't take consequences into account, especially if stealing from a mage. Will try to make a fair barter for it first though. d) Well in his case family means other dragons, he simply isn't that stupid! Last edited by digitalangel; 07-06-2015 at 08:38 AM. Well always good to give credit where it is due. Thanks. Zyaitin reminds me of Spyro. So I saw this image the other day and thought of the old Palladium After the Bomb setting (post apocalyptic setting with large amounts of mutant animals all over the place at war again the remaining humans after a genetic virus being released that killed most humans and was the cause of the mutant animals) and thought I would stat up a After the Bomb style rabbit martial artist for M&M. Last edited by digitalangel; 03-14-2016 at 11:21 AM. Obviously the mooks would have to be cats, who are in fact fast as lightning.